In a century where globalization and foreign aid are at the core of a lot of the developed nations’ foreign policies, the issue of inequality within the health systems between the West and developing nations is still prevalent. Although millions of dollars’ worth of medical supplies are donated to developing nations through foreign aid, most of these are deemed irrelevant due to the fact that most of the time, the aid is earmarked and also, there are issues of inadequate infrastructure and human resources to utilize the said supplies to their full potential. Furthermore, the medical aid sent to developing countries has become a common strategy used by developed nations to support their interests only. For example, the United States’ National Security Study Memorandum 200, commonly referred to as NSSM 200, was particularly explicit in its recommendation that aid, in whatever form, should be geared towards controlling the exponential increase in the population of the Third World. The document viewed the increase in the population of developing nations as a threat to the United States’ interests in those countries. Another example of this is the amount of time (over 50 years) it took the United States to allow developing countries to manufacture generic versions of ARVs (antiretroviral drugs) which was needed to manage HIV/Aids despite the death of millions of people in developing countries. The United States’ interest lay in preserving the huge amounts of profits that pharmaceutical companies were making from selling their branded ARVs at prices that were unreachable for most of the people in the Third World. The present outbreak of the Ebola virus in West Africa, which is the largest outbreak of the virus since its discovery in 1976, presents another scenario. Ebola is transmitted amongst humans through the direct contact of broken skin with bodily fluids, blood, and sweat of infected people or animals. The three worst affected countries (Guinea, Sierra Leone & Liberia) have one thing in common: the countries have just recently started recovering from years of conflict. Therefore, these countries do not yet have a healthcare system strong enough to mitigate the impact of the rapidly spreading virus. 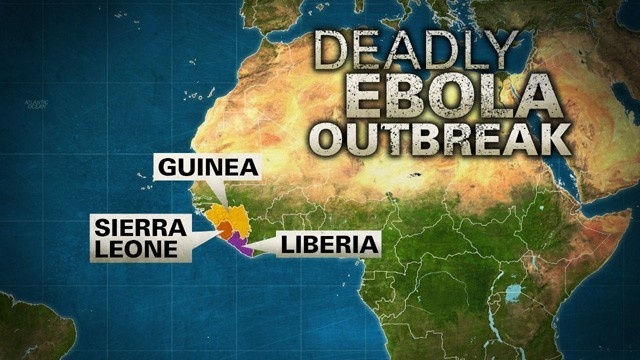 To date, Ebola has killed approximately 4447 people in West Africa, Europe and the US altogether. However, the number could be far greater due to the fact that other Ebola cases are yet to be confirmed, as those infected with the disease could not seek medical expertise due to traditional and cultural beliefs or simply, lack of knowledge about the virus and its effects. The numerous deaths in West Africa have led to many experts questioning whether the response by the developed nations is adequate. In matters of conflict, the West has always reacted promptly to intervene and offer “humanitarian” assistance to save lives. Why have these nations not acted the same when thousands of lives are being taken by a disease? The response and media coverage of the current Ebola outbreak have been minimal until recently when the virus spread to Europe (Spain and Germany) and the US. In the US, a man by the name of Thomas Eric Duncan from Liberia was the first person to have been diagnosed with the virus on US soil; he has since died. However, Teresa Romero, an assistant nurse who had been treating and was in contact with two Spanish missionaries who died from the virus in a Madrid hospital, has shown signs of slight improvement. Whilst in Germany not much information was disclosed about the United Nations worker in Liberia who was flown to a hospital in Leipzig to get treating for contracting the virus. The unnamed United Nations worker is the third victim to be flown to Germany to undergo treatment for the virus. In comparison to the thousands of Ebola victims in West Africa, the recent development of cases in both the US and Europe (Spain), has received a lot more media coverage. In the wake of the recent spread of the virus outside of West Africa, the increasing response in the West has been the increase in border protection in the form of screening of travellers coming in from Ebola- affected countries as the epidemic is no longer limited to West Africa. The outbreak has moved from being a local crisis to an international one, which could have severe effects not only on human lives but the economies of many nations. At present, the US and UK have deployed military personnel to help fight the virus and have been joined by other western nations in the fight against the virus. The US military intends to send a total of over 4000 soldiers in Liberia to help build medical centres. Britain on the other hand has deployed 750 military troops to help local governments build treatment centres and an Ebola “Training Academy” in Sierra Leone. This is the first official response from the British government and it came after the threat the outbreak posed to Europe. On top of this, the military has also suggested that army medics, helicopters and an aviation ship will provide extra supported where needed. The German military on the other hand has started flying materials such as protective clothing, gloves, and goggles from Senegal to the three severely affected nations. The German military also intends to build a 50 patient clinic in Monrovia to help cope with the demand for beds and treatment centres. However, it still begs the question whether these super powers left the response a little too late? What some see as a surprise in the global fight against Ebola is the deployment of over 400 medical professionals by the small island nation of Cuba, which has a GDP of $6,051 per capita and a population of 11 million people. However, with the historical ties between Cuba and Africa, it should not come as a surprise at all. The island nation has taken practical steps to help mitigate the Ebola epidemic but wealthier western nations have not acted in a similar manner. Instead, the US and the UK deployed military personnel to the worst hit countries in order to assist in the building of treatment centres. While treatment centres are important, the need for medical care and professionals is more stringent and important, and Cuba has once again showed solidarity with Africa by offering these. In the UK, many have criticized the move to send military troops to Sierra Leone. Mary Dejevsky, writing for the Guardian newspaper questioned whether the military, even though effective at building temporary structures, should really be at the centre of disease containment? “Where is the Department for International Development in all this, and the UK’s vast charity sector?” she probed. In the US, there are questions regarding the type of troops deployed to combat Ebola in West Africa. The majority of the initial 1,400 soldiers deployed in October are combat troops (101st Airborne Division) and marines. A former US Congressman, Allen West asked “How exactly do you shoot a virus?” This is a humanitarian crisis and as such, requires a humanitarian response. Militarizing aid defeats humanitarian principles and also there is the issue of trust considering the well-known interest of the US in having more military presence in Africa (AFRICOM). As the outbreak is still on-going, it remains to be seen whether militarizing assistance, which often cost a lot more, to these affected countries is benign or otherwise. As the Ebola epidemic in Sierra Leone, Guinea and Liberia soars, so does the cost of fighting the disease. The United Nations currently estimates that approximately $1 billion is required to help fight the outbreak; however this figure could rise significantly if the world is not willing to help with funding. The IMF has identified concerns that Ebola might hinder economic recovery in developing nations. In the light of this, the IMF has offered to increase the fiscal deficit of the worst affected countries. What this means is that these nations are expected to borrow more from the IMF in order to combat the virus. This is no assistance; it is an attempt to further enslave these nations economically. However, out of what seems to be despair, we have some success stories in West Africa. Senegal and Nigeria stand out as examples of countries that have been affected by Ebola but managed to completely contain the disease. Nigeria is the most populous nation in Africa and Lagos, the commercial heartbeat of the nation, is one of the most populous cities in the world. An outbreak in Lagos would have presented a disastrous scenario for the African continent and the world as a whole. After the virus was brought into Lagos by a Liberian American, Patrick Sawyer, the country started a contact tracing process which saw officials conduct over 18,000 face to face visits. Overall, there were 19 confirmed cases with 7 deaths and the country is due to be declared Ebola free if no new cases come up by the 20th of October 2014. In Senegal which shares a border with Guinea, one of the worst hit countries, only one case has been confirmed and the victim has since recovered fully. Although, Senegal’s case was minimal, the response still deserves commendation due to the fact that the singular case was prevented from spreading and also due to its proximity to one of the worst affected countries. Nigeria and Senegal offer hope to the rest of the world that Ebola can be contained and defeated. 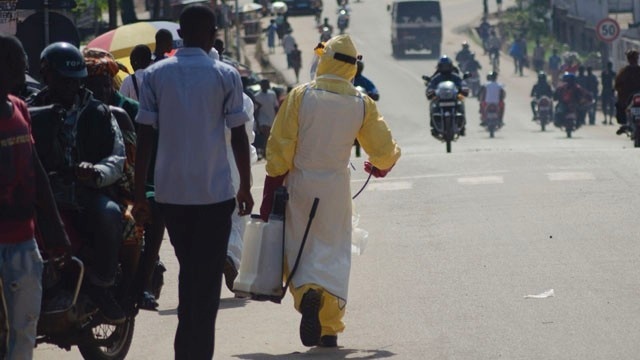 It is also refreshing to see that assistance from the West is not being relied upon to curb the spread of the disease as Nigeria is also offering to train Ebola healthcare workers in Guinea, Liberia and Sierra Leone and is sending 591 volunteers to assist in containing the disease. Pius Kanyengambeta is a Business Studies and Economics graduate from the University of Greenwich who currently works in Malawi.